Our superior and spacious rooms are between 16m2 and 21m2 and are available from 88€ per night. 17 of our rooms are modular, allowing you to choose between two 90cm beds or one 180 cm bed, depending on your requirements. 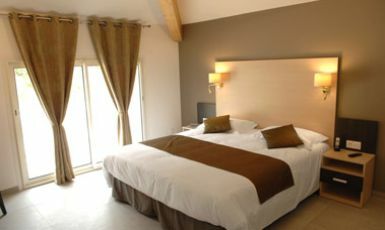 Our superior rooms are vast, comfortable and very modern. 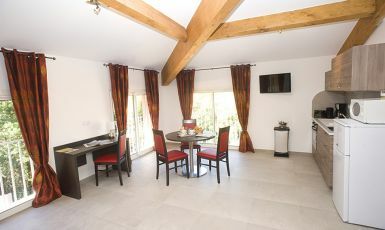 Depending on your budget and availability you can choose a room with or without a terrace. More spacious, our superior rooms are all fitted with SIMMONS mattresses and slatted bed bases, and measure between 16m2 and 20m2. Here comfort is at your fingertips. Need a touch of shade? Bring down the blinds. Some air? On with the air conditioning. A film via streaming? A fax to be sent? The broadband is available 24 hours a day. A coffee? Orange juice? Some fruit? Single or double, all our rooms are fitted with SIMMONS mattresses and SIMMONS slatted bed bases. Sleep in the best of comfort! 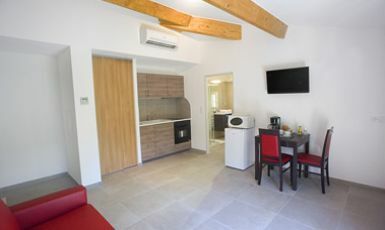 Would you like to make the most of our spacious superior rooms during your stay in the Var? Our booking system will give you the real time availability of our superior standard rooms with or without a terrace.